Retinitis pigmentosa (RP) is a group of rare, genetic disorders that involve a breakdown and loss of cells in the retina, which is the light-sensitive tissue that lines the back of the eye. 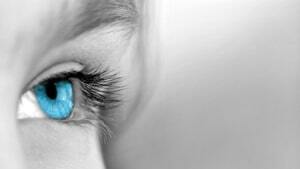 Common symptoms include difficulty seeing at night and a loss of side (peripheral) vision. In the early stages of RP, rods are more severely affected than cones. As the rods die, people experience night blindness and a progressive loss of the visual field, the area of space that is visible at a given instant without moving the eyes. The loss of rods eventually leads to a breakdown and loss of cones. In the late stages of RP, as cones die, people tend to lose more of the visual field, developing tunnel vision. They may have difficulty performing essential tasks of daily living such as reading, driving, walking without assistance, or recognizing faces and objects. Genetic testing. 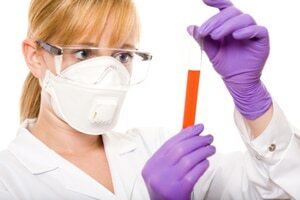 In some cases, a clinician takes a DNA sample from the person to give a genetic diagnosis. In this way a person can learn about the progression of their particular form of the disorder. Genetic testing is available for a limited number of patients with RP through NEIís National Ophthalmic Disorder Genotyping and Phenotyping Network (eyeGENE). Participants in this program agree to make their DNA sample and clinical information available to researchers in exchange for genetic testing. They also agree to join a patient registry for possible recruitment into clinical trials. 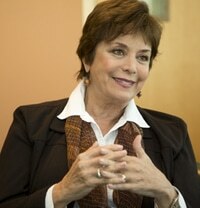 To learn more about eyeGENE, visit http://www.nei.nih.gov/eyegene/. A number of services and devices are available to help people with vision loss carry out daily activities and maintain their independence. In addition to an eye care professional, itís important to have help from a team of experts, which may include occupational therapists, orientation and mobility specialists, certified low vision therapists, and others. NEI has more information on living with low vision. 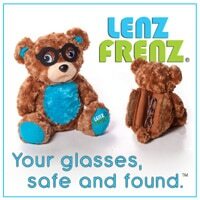 Children with RP may benefit from low vision aids that maximize existing vision. For example, there are special lenses that magnify central vision to expand visual field and eliminate glare. Computer programs that read text are readily available. Closed circuit televisions with a camera can adjust text to suit one’s vision. Portable lighting devices can adjust a dark or dim environment. Mobility training can teach people to use a cane or a guide dog, and eye scanning techniques can help people to optimize remaining vision. 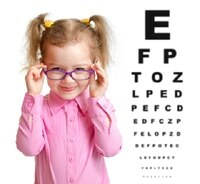 Once a child is diagnosed, he or she will be referred to a low vision specialist for a comprehensive evaluation. Parents may also want to meet with the child’s school administrators and teachers to make sure that necessary accommodations are put in place.